A small scratch as you can see in the photos, but overall it works perfectly. I had no problems with it. Power Cable Not Included . Hey there! It is fully functional and in excellent condition. 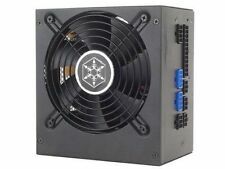 Silverstone SFX SST-SX600-G 600w 80 PLUS GOLD Fully Modular PSU. Condition is Used. Shipped with USPS Priority Mail. 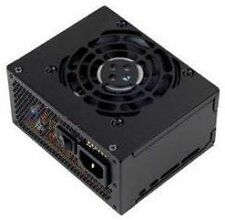 Silverstone SST-SX500-LG SFX-L Form Factor 500W Semi-Fanless Modular Power Suppl. Condition is Used. Shipped with USPS Priority Mail. You will receive what is in the picture. 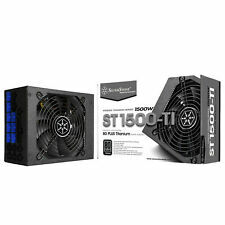 SILVERSTONE SST-ST1500 1500 WATT Full Moduler POWER SUPPLY 6-65. Condition is Used. Shipped with USPS Priority Mail. ￭ Class-leading single 12V rail. ￭ High efficiency with 80 PLUS Gold certification. ￭ Silent running 140mm fan with 18 dBA. ￭ PCIe 8pin and PCIe 6pin connectors support. 1 x 24 / 20-Pin motherboard connector. 80 PLUS SILVER Certified. Maximum Power. SATA Power Connector. 90 - 264 V. 85%~88% at 20%~100% loading. Full Modular. 1 x Main connector (20 4Pin). 12 x Peripheral. NEW, open box. Never used. Will ship with in one bussiness day. Output 700W. Testing Procedure. Connector(s) 20 4 Pin. If possible, include photos or video to assist in understanding the problem. Key Functions Test Expected Result Result. Tested for key functions, R2/Ready for Resale. Manufacturer - SilverStone Technology. 1000 watt maximum output. 139mm Air Penetrator fan. To build on this impressive lineup, SilverStone engineered a new generation of power supplies that combine more important features than ever before. The Strider Plus models, ST75F-P, ST85F-P, and ST1000-P are highly efficient (80 PLUS Silver level), compact enough to fit in nearly any system (160mm depth), have tightly regulated performance of ±3% from a single 12V rail design, and equipped with a quiet but cool 135mm fan. SilverStone created the Essential series power supplies to provide enthusiasts with an affordable choice when building PCs. ET650-B and ET550-B have 80 PLUS Bronze efficiency with single 12V rail and the ability to provide 24/7 40℃continuous output. 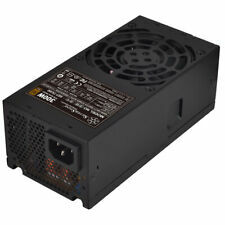 ￭ ATX 12V 2.3 support. ￭ Class-leading single 12V rail. Load Range. ￭ High efficiency with 80 PLUS Bronze certification. 82%~85% @ 20% ~ 100% loading. Active PFC（PF>0.9 at Full Load）. ￭ Multiple protection circuitry. Item is in excellent condition, tested and working perfectly. Max Output: 450W. ATX 12V 2.3 support. Class-leading single 12V rail. High efficiency with 80 PLUS Bronze certification. Load Range. 82%~85% at 20%~100% loading. Active PFC（PF>0.9 at Full Load）. Multiple protection circuitry. Item new in box, untested. Will stand behind this. WE STRIVE FOR EXCELLENCE. ￭ Class-leading single 12V rail. Load Range. ￭ High efficiency with 80 PLUS Bronze certification. 82%~85% at 20%~100% loading. Active PFC（PF>0.9 at Full Load）. ￭ Multiple protection circuitry. Power density. Designed for 80 PLUS Platinum level of efficiency to reduce wasted heat and save on electricity. Powerful single 12V rail design, perfect for future high-end component upgrades or overclocking. Maximum Power: 700W. Power Factor Correction: Active PFC (PF>;0.95 at Full Load). Class-leading single 12V rail. Efficiency: 82% ~ 85% at 20% ~ 100% Loading. High efficiency with 80 PLUS Bronze certification. 750W(Peak 800W). ￭ 100% modular cables. ￭ Class-leading single 12V rail with 60A (peak 66A). ￭ Efficiency 85%~88% at 20%~100% loading. Load Range. 85%~88%（20% to 100% loading）. Active PFC（PF>0.95 at full load）. IlverStone created the Essential series power supplies to provide enthusiasts with an affordable choice when building PCs. ET750-B has 80 PLUS Bronze efficiency with single 12V rail and the ability to provide 24/7 40℃continuous output. ※ NJ520 is not compatible withPP05 ,PP05-E andPP06 cables. Class-leading single 12V rail. High efficiency with 80 PLUS Platinum certification. Load Range. 89%~92% at 20%~100% loading. Active PFC (PF>0.99 at full load). IF YOU HAVE A ISSUE, I PROMISE TO QUICKLY WORK THINGS OUT. ST45SF is compatible not only with chassis that use SFX power supplies but also in smaller ATX chassis with the included adapter bracket. Enthusiasts oriented features are also present with single 12V rail and 8pin/6pin PCI-E connectors to fully support multi-GPU systems. Box has tears and creasing. Class-leading single 12V rail. High efficiency with 80 PLUS Bronze certification. Load Range. 82%~85% at 20%~100% loading. Active PFC（PF>0.9 at Full Load）. Multiple protection circuitry. Over Power Protection. We will do everything within our power to quickly resolve your inquiries. • Form Factor: ATX. • MPN: SST-ST60F-TI. 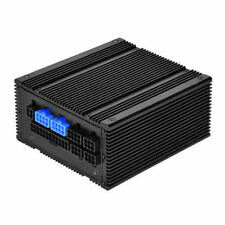 It has features that enthusiasts demand such as all black exterior coating, sleeved cables, silent running 80mm fan, and support for PCI-E 6pin connector. In addition to 80 PLUS Bronze level efficiency, the TX300 features 24/7 40?. To build on this impressive lineup, SilverStone engineered a new generation of power supplies that combine more important features than ever before. Manufacturer: SILVERSTONE. Condition : NEW. Silent running 135mm fan with 19dBA minimum. 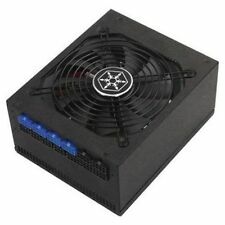 SilverStone 750W Modular Gaming Computer PC PSU Power Supply (SST-ST75F-P). Condition is Seller refurbished. Includes all cables and power cord. Shipped with USPS Priority Mail Medium Flat Rate Box. I accept Paypal only. Good luck! ￭ High efficiency with 80 PLUS Platinum certification. 16 x SATA connector. 1 x 24 / 20-Pin motherboard connector. ￭ 100% modular cables. 6 x 4-Pin Peripheral connector. NO EXCEPTIONS. THERE WILL BE. We will fully inspect and retest the item. Failure to do so. To build on this impressive lineup, SilverStone engineered a new generation of power supplies that combine more features than ever before. Manufacturer: SILVERSTONE. 80 PLUS Silver certification with 80 PLUS Gold level efficiency at 230Vac.